Have you just completed your graduation and want to study Psychology at your Mater’s Level? But are you from Non-Psychology Students? So what, if you are a non-Psychology graduate student, you can also pursue your masters with Psychology, it’s true that a non-psychology student have less options of institutes or colleges as compare than Psychology graduate students, But still you have good options like Delhi University (DU), Jamia Millia Islamia (JMI), Ambedkar University Delhi (AUD) and others. But competition is very tough for non-psychology students, so systematic approach of study and little extra effort and guidance helps you in preparation. 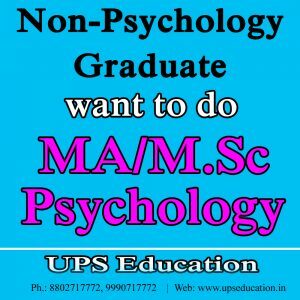 UPS Education has many students who were non-psychology students, but now they are pursuing their MA/M.Sc Psychology from well know universities like Delhi University (DU) or Jamia Millia Islamia (JMI). 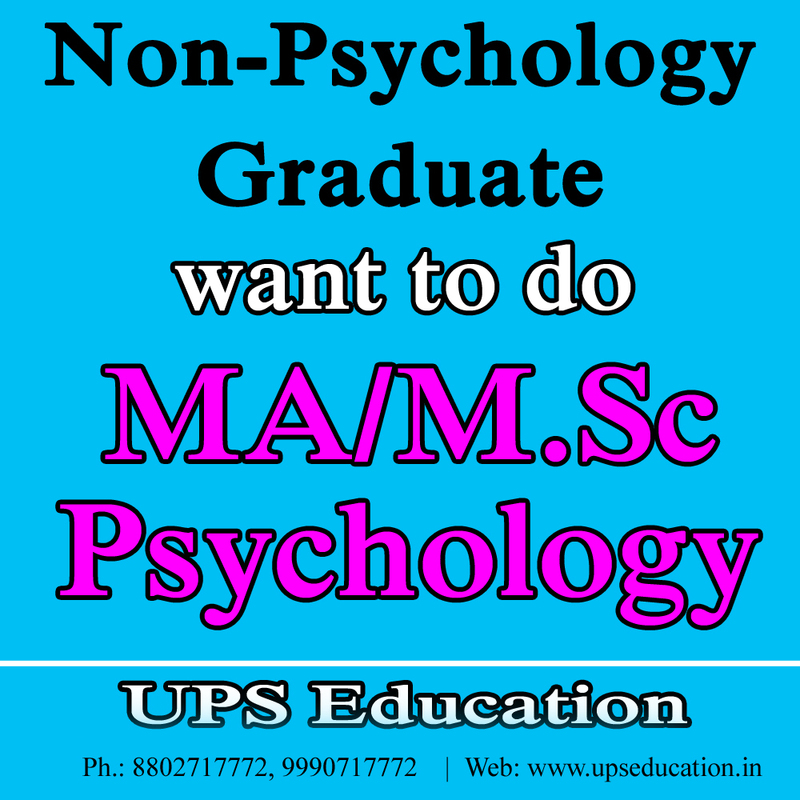 So join UPS Education today for your MA/M.Sc Psychology Entrance Exam and ensure your result. This entry was posted in MA Psychology Coaching, non psychology students, psychology coaching class on September 23, 2017 by UPS Education.